I have spent a lot of time in bookstores. I like to touch the books, smell and heft them, browse through the pages. Once I touched and smelled and hefted and browsed through a large book about Leonardo da Vinci. Quite a heavy stuff. About half meter long and 10 kilograms of weight at least. It was complete set of Leonardo`s works, drawings and notebooks including. Here I discovered his unbeaten historical record. Like a lightning from a clear sky. The book was nice, the chapters sorted perfectly. Oil paintings section was not really large one. While looking through it I realized the point. Just take a look through complete list of Leonardo`s oil paintings and you will see it too. Count them. During the 500 years of history we know only twenty Leonardo`s oil paintings all together. Two of them are unfinished, just in the state of a sketch. An underpainting. Twenty oil paintings. 20. That’s what remained till today, but probably he did not paint much more. I am not fond of comparing masters like who is better. I do avoid that kind of folly. To tell that Leonardo is better than Rembrandt is not really meaningful and serious comment. You cannot compare the masters on that level. 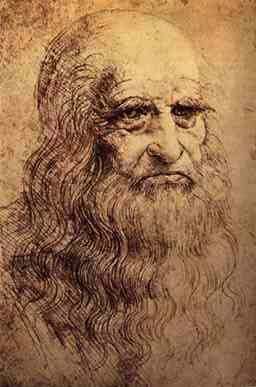 Nevertheless, generally, Leonardo is till today considered as a greatest painter of the history. Not a physician or scientist. We simply cannot deny the fact that most people think of him like that. We cannot explain enough why Mona Lisa is so famous, while there are so many great portraits from Titian, Vélazquéz or Ingres, not to mention Picasso. It is difficult to understand that phenomenon. After 500 years, Leonardo is still No1. Moreover, he made it with twenty oil paintings only. Well, considering the number of paintings Vermeer is close with about 40 ones. No drawings are known unlike Leonardo. However, Vermeer’s fame cannot be compared to Leonardo’s. Considering the fame, Raphael could compete, but the number of his paintings is much larger. Picasso, who in 500 years might be as famous as Leonardo, left several thousands of paintings. Leonardo is the top recordman of the history. Nobody can compete with him. If you wish to beat him, you have to be equally famous for at least next 500 years with less than twenty paintings.